1960s brown/cream spider clip-on earrings. 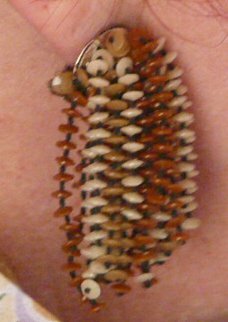 Very light, made from lots of little plastic beads, these earrings are fab, funky and unmistakeably 60s! 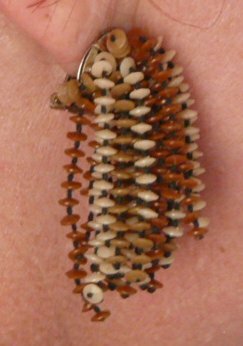 In excellent condtion, each individual strand is approximately 1½ inches (3.5 cms) long.